Easy Connection Shrouded 3-pin IEC C13 Female Rewirable "Cold" Line Plug. 110-250VAC, 10A. 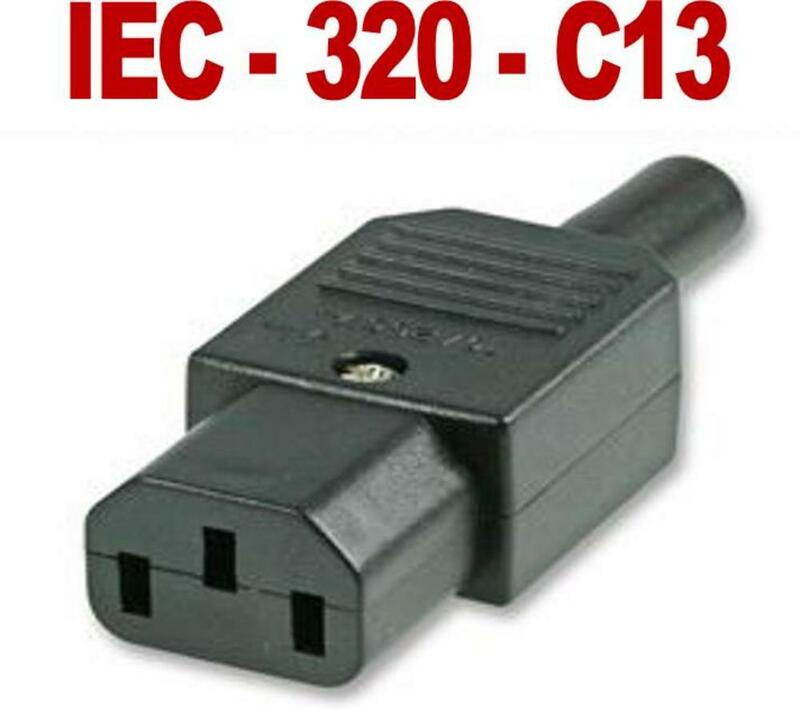 IEC-320 appliance mains power connector with rubber cable protector and strain relief. Post and screw terminals for easy and safe connection. For cables up to 8mm. Standard straight black plastic bodied IEC 3-pin inline cable plug for IEC mains power extension cables and UPS fly leads, suitable for connection to industry-standard IEC C14 sockets. Sometimes refered to as "kettle plugs" (although C13/C14 connectors are NOT suitable for kettles, which require a C15/C16 hot conditiion plugs), this is the standard type of power connector fitted to many electrical appliances such as amplifiers, lighting, rack units, audio equipment, PCs, home computers, printers, computer monitors, display panels etc.